Continuing last night’s urgent and horrifying news story, in which our own Kyle Ryan asked everyone to stop what they were doing and immediately begin making Anchorman quotes, here a few more details on that Anchorman sequel they said would never happen, just so they could see the look on your face when Will Ferrell announced it was back on. 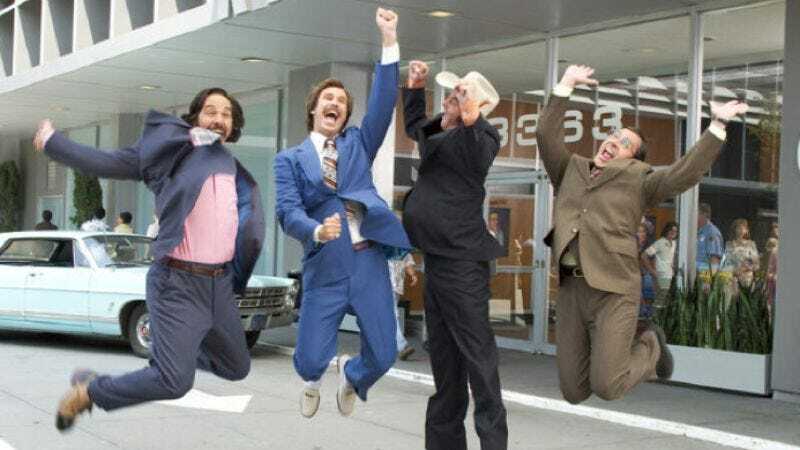 According to Deadline, Adam McKay will once again direct from a script co-written with Ferrell, Judd Apatow will once more produce, and so far Steve Carell, Paul Rudd, and David Koechner are all expected to reprise their roles as the Channel 4 News Team (though Entertainment Weekly is a little less sure about Koechner). It is, indeed, kind of a big deal. Movie quotes! And in case you missed it, here’s video of Ferrell’s announcement on Conan.